Features: Mix is sealed in a moisture proof foil pouch. It's the same stuff they use to make the world famous cocktails at Pat O's in New Orleans. Each pouch makes one quart. Easy to make - just add rum and crushed ice. Specs: Capacity: 9 oz (Makes 1 Quart). 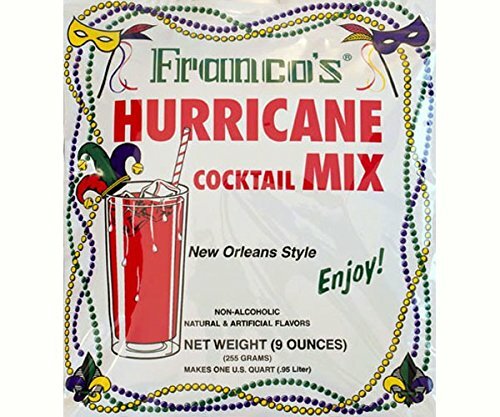 Includes: (1) Pouch of Hurricane Cocktail Powdered Mix.